Useful When: Identifying stakeholders involved in your project. Helps the BA determine which stakeholders will directly interact with a system or process and those outside the organization. Layer 2: Stakeholders whose work changes when the solution is defined. For example, end users. 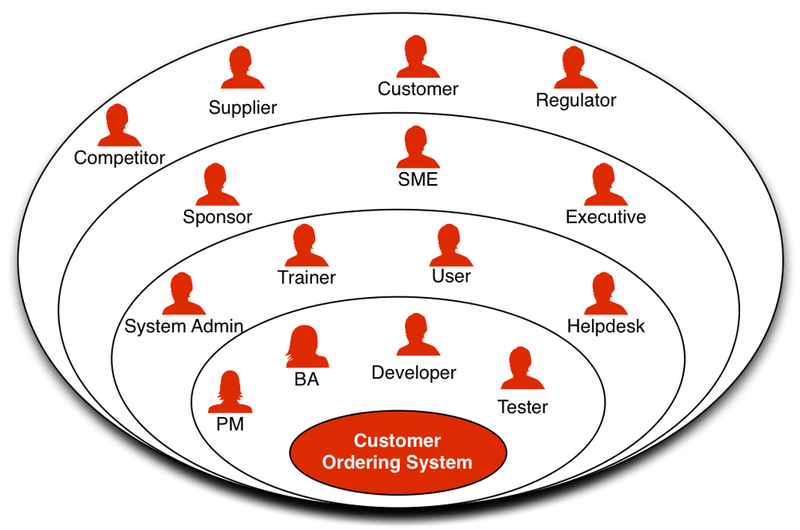 Layer 4: External Stakeholders such as customers, regulators, government, suppliers and the like. An editable template of the stakeholder diagram can be downloaded here.